Are you currently using our EDI WebSource web screens and wish there was a way to upload the document into your ERP or backend system? 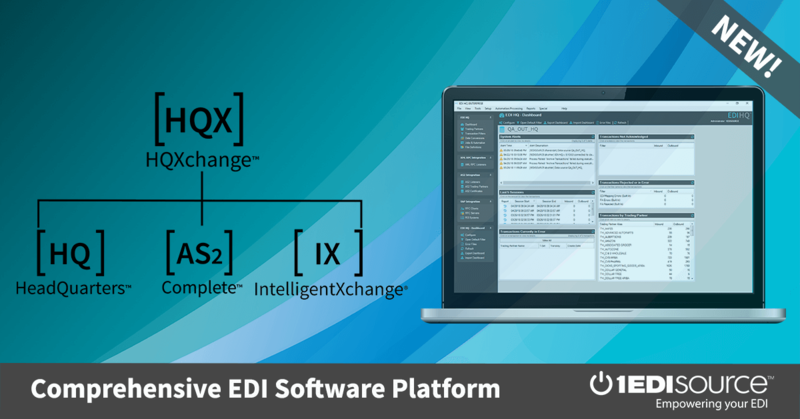 1 EDI Source has the capability to not only map your Purchase Order or other inbound document to the website, but we can also send the data simultaneously in a text or excel file through an AS2 or FTP (file transfer protocol) connection in order to load into a your backend system. Your dedicated consultant can modify this file based on how you need the data and which information is needed, in order to download correctly (using your custom specification) depending on what the data is being used for or what system it’s being imported into. Once set up, all the orders will automatically be mapped the minute we receive them, and available to be picked up or downloaded. This function is also ideal if different departments or locations need access to the orders or inbound documents. For example your third party warehouse which is in a different location from your home office could pull the purchase order off the webpage in order to fulfill the orders and get the shipment ready, while your company’s home office pulls the purchase order in a comma delimited file off the AS2/FTP connection in order to keep track of inventory or order history for the year so that information will be easily accessible for all personnel in the ERP system. This not only saves time so the data doesn’t have to be manually keyed into the system, it is also an efficient way to get the data without having to login to the web screen while the warehouse is trying to prepare the ASN for the shipment. This setup can be done for any existing or new setups and the dedicated consultant will work closely with you to get this set up so it is a seamless process for your company. If you have any questions about this feature or any of the services we offer please call 877-334-1334.